Dear friends, am happy to announce that the next PRANIC FESTIVAL starts on August 15-19, 2019 in Romania! We’re now having a 5 day festival in a fabulous mountain area of Romania (Sambata de Sus), and also the possibility to visit other Romanian energetic portals (energy vortexes) after the festival. Olga Podorovskaya , Jasmuheen , Cristiana Eltrayan, Mira Omerzel, Adam Apollo, Erika Witthuhn, Gaston Bacchiani, Ray Maor, Valerio Verrea, Kay Hougaard, Victor Truviano and Pascal Martelli are some of those invited to the Pranic Festival in Romania – see their bios below. Fabulous others still to come . Scroll down to see the description of each speaker. We’ll soon let you know about the full list of speakers and who’s coming to the party . Early bird booking (by November 30, 2018): 222E/258$ for 5 days or 44.4E/52$ per day (accommodation included*). After November 2018: 333 E/387 $ FOR 5 days or 88E/103$ per day(accommodation included). To book your place and room you can send 50% at this link now and 50%, 7 days before the event (by August 8, 2019). *All prices include accomodation in double shared room. To book a place in single room, the extra cost is 54 E (places in single rooms are subject to rapid booking and might not be available after Jan 2019). Send an email to eurynome999@gmail.com to get all details for your payment. You can also use this link to book the room. Make sure you book your place now, as accommodation is filling fast due to Mother Mary’s feast (August 15 celebrated in Romania). For extra accommodation (before or after the Festival days Aug 15-19), you can book double, triple rooms, or appartments at the cost of 18 – 40E/person/night (depending on the room and building). Book the date and a flight to Sibiu/Bucharest/Brasov (Romania) and write to us to tell you how to get to the Festival from there. Book your “seat” for the online conferences with a contribution of 25E/32$ (using this link). Donate: support our work and help us bring more value to people; use this link for donations. 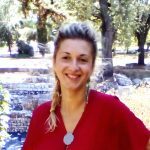 Cristiana Eltrayan works as a therapist, international holistic speaker and author. Additionally, she often travels for opening and maintaining energy portals along the planet, following the planetary energy lines and also the cosmic rhythms. These works are the result of the inner guidance that the author is receiving regarding these energy works. Her workshops and classes have as a main theme the energetic nourishment, the Taoist emotional intelligence and pranic methods of healing and recalibration, converging to the consciousness of unity. She combines the ancient knowledge with the modern scientific discoveries, to bring a complex and complete picture on the unlimited nature of the human potential. Since 2009 she has been studying the Pranic nourishment (the possibility of being nourished by energy/chi/mana) and since 2013 she is offering lectures and classes on this subject. 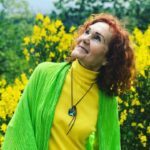 With her work of the Soul Healing Accademy, she has created several projects, including the Pranic Consciousness Summit , the Pranic Festival in Romania, the Pranic Consciousness Process, the Energy in Harmony holistic educational program for children in schools and more than 14 charity and ecology campaigns called It’s Better with Love . She is now also practicing the Soul Healing – Holistic Therapy – which deals with the balance between body – mind-soul and deprogramming and reprogramming the energy field, and shares her experiences in books, workshops, classes and conferences. She is the author of 5 books, amongst which “The Pranic World Book”, which describes her experience with pranic communities and pranic processes. 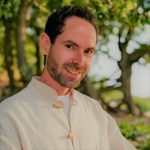 Victor is a true pranic teacher who draws energy from the subtle sources of the universe, which is otherwise known as prana. Born in Argentina, Victor was devoted to music and was the lead violinist of the Great Orchestra, Lanus City, until a tennis-elbow made him stop playing. That led him to a deep emptiness and this led him to the magic of pranic healing. He followed a 21 day assisted fasting with 7 dry days (no food) and lots of silence. Since then Victor Truviano is the one who does “the impossible”. From more than 9 years, this Mystic is feeding on the vital energy of the universe, definitely an infinite source.Victor Truviano is said to not need food or liquid, including water, for about 10 years now. He has regrown his teeth and healed himself from a dramatic fall when paragliding, all while in the pranic state. Victor sleeps less, hardly two to four hours a day and sometimes he doesn’t sleep at all. Contrary to what you may believe Victor is a lively person, flexible and strong. “The first human being was completely abstract and creative, and my philosophy is simply to try to be more like him.”, Victor says with the usual smile on his face. With his permanent state of happiness, he travels around the globe, spreading the message of love and bliss, giving satsang and retreats in Babaji State. He says he is not a guru or Herald and he doesn’t push anyone to his way of life. 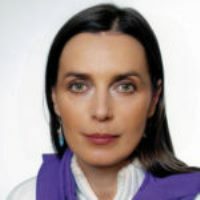 Galina is coming to the Pranic Festival in Romania, joining us to share her wisdom on pranic love and quantum knowledge. Galina El-Sharas, is nourished by prana since 2009, when she transitioned to this type of nourishment through a spontaneous process. She is a healer, researcher, teacher of meditation, creator of more than 10 different workshops on healing and pranic nourishment. Galina opens hearts in resonance with the vibrations of the Universe, teaches breathing Love. 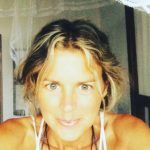 She conducts many seminars, webinars, retreats, and has experience of practical processes to facilitate the transition to Prana. 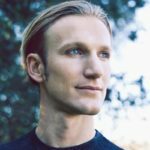 Adam Apollo has offered insights on global transitions, physics, technology and the future at the White House, in a UN summit, and at conferences and festivals around the world. After having had a vision of the Universe as a fractal hologram at the age of 15, he extensively studied a wide variety of branches in theoretical astrophysics, completing major research papers on the potential interface between consciousness and the physics of space-time by the time he graduated High School. 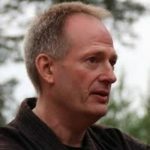 He is a founder of the UNIFY movement and several education and technology based companies and organizations, as well as a faculty member and the lead systems architect for several international online academies. Adam Apollo is dedicated to achieving a sustainable and thriving interstellar culture. 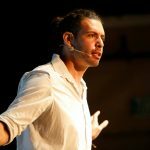 As a speaker, Adam Apollo has been featured in events at the White House, United Nations, and at conferences and festivals around the world. 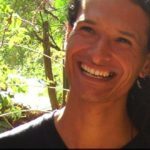 In 2005 and 2006, Adam coordinated two “Prayer Runs for World Peace” with Indigenous elders and youth from around the North American Continent. 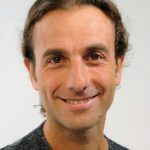 From 2006-07 he helped to coordinate the development of “Campaign 2020” and a series of initiatives to “achieve a sustainable planet by the year 2020.” From 2007-2010 he served as a Board Member and Advisor for “Biovision 2020,” an educational organization focused on the effects of Genetically Modified Organisms on human and environmental health. 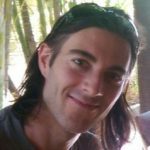 Then in 2012, Adam Apollo developed the UNIFY initiative, bringing hundreds of thousands of groups and organizations around the world into synchronized conscious connection on December 21st, 2012, and in ongoing events. He is a Faculty member of the Resonance Academy, and Guardian Alliance (2014). Adam Apollo has been featured in several movies and documentaries. Mirit, PhD, the founder of the Slavic-Pythagorean School for the Development of Consciousness and Harmonisation with Sound – Veduna School, has permanently lived on cosmic food (prana) since August 2000. This possibility first happened to her (spontaneously!) in December 1994 and lasted a couple of weeks. She became a medium, cosmic telepath (channelling cosmic and galactic initiations for people) and a healer: a cosmic sound-energy surgeon. She channels meditative, harmonising and healing sounds and timeless sound codes. Mirit developed a spiritual technique for the development of consciousness and (self-)healing – Veduna cosmic resonance. She channels books on the wisdom of the world’s cultures (the most well known is her series of books Cosmic Telepathy / Beyond Thoughts and Audible Sound). Daniel is a child nourished by prana/chi/energy, ever since he was a toddler. Daniel is just a “regular” kid who decided to ride this path with the highest vibration spreading happiness and joy wherever he goes. At the age of 1 year old, when it was the time to start eating solid foods, he refused to accept it. 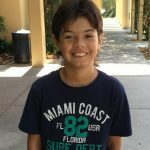 As today, Daniel is a brilliant kid, with amazing results in his academic formation, extremely active and full of energy, a very successful sport kid and beyond happiness with the capacity to attract kids everywhere he goes. Mantak Chia is one of the most renown Taoist masters of our times and a powerful teacher in the discipline of Darkroom Pi Gu (the art of being nourished and healed by energy via Chi). He has been the only one named twice as Qi Gong Master of the Year by the International Congress of Chinese Medicine and Qi Gong in 1990 and 2012 and is also listed as number 19 of the 100 most Spiritually Influential people in The Watkins Review 2012. Mantak Chia studied with Master Pan Yu whose system combined Taoist, Buddhist and Zen teachings.To understand the mechanisms behind healing energy better, Master Chia studied Western anatomy and medical science. Using his knowledge of Taoism combined with the other disciplines, Master Mantak Chia began teaching the Universal Healing Tao System. He has trained more than 6000 instructors to communicate this knowledge. He established the Natural Healing Center in Thailand, the facility hosting the best organized darkroom center of the world. He has been now travelling the world for 35 more than years, teaching and sharing his wisdom of the Universal Healing Tao practices. 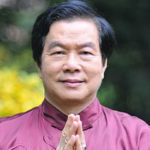 He has written many books on internal healing with the chi, including the state of Bigu. Nowadays, Master Chia is in the list of the 100 most influential spiritual leaders teaching Daoist healing and Pi Gu classes all over the world. 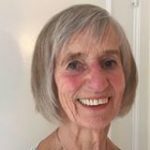 Born in Hamburg, Germany, in 1936, and residing in Belgium since 1963, Erika has been living on prana since 2001, a gift she received thanks to her spiritual path and her life style. She is sharing her life experience and wisdom in her monthly groups in Belgium as well as participating in pranic festivals in different countries as a presenter and during her travels around the world. She also accompanies Jasmuheen sometimes and teaches her manuals “Pathways of Peace” and “Luscious Life Style” that she has translated into French. They have become great friends over the years, and she is also a Peace Ambassador in Jasmuheen’s Embassy of Peace. A peace worker since her childhood during the second World War – she could not understand why people were fighting each other – she has participated in various peace movements – The Art of Living in Peace by Pierre Weil which also gave her the title of Peace Ambassador – and the creation of an international Peace University in Berlin, Germany, which finally did not work out, after several years of preparation. 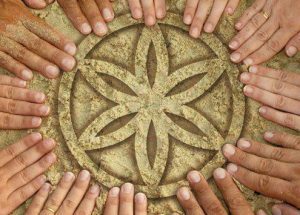 She has also been in close connection with the Findhorn Foundation, one of the best known and oldest international spiritual communities in the North of Scotland, being a Resource Person for many years for them. She is aiming at fully incarnating her spiritual path in the here and now and seeing the Divine One within everyone and everything. Her aim is to inspire people to incarnate Love, Peace and Joy, applying this knowledge into everyday life and feeling connected to all of life on this planet and beyond and working for the highest best of all. Her passion are human relationships and creating a new world of a higher dimension for all in consciousness. She is also a guide for the Game of Transformation, a tool of evolution that has been developed at the Findhorn Community. Erika says it is about the freedom of choice that we practice every day and about Mind Mastery, a task of a life time. Always seeing a deeper sense in our lives and watching the words we speak, being impeccable and always doing our best, not making any projections and taking nothing personally. 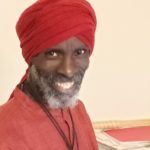 Elitom El-Amin is a holistic practitioner, researcher, and author who has studied for over 10 years light synthesis and atmospheric changes in nature that sustains the human body for health and well being. Elitom demystifies the human photosynthesis process of living on light. 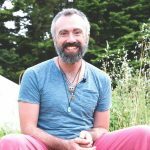 He loves camping, biking, energy work, and martial arts.He is the author of two books: It’s Okay to be Healthy and Human Photosynthesis 101 . Born in Argentina, living in Berlin since 2001. In 2013 his body asked him to upgrade to a more subtle nourishment system (Prana), since them he only drinks liquids.This enabled him to obtain more clarity, more freedom, inner peace and on a physical level, he got many German sports golden medals for the years 2014, 2015, 2016, 2017. Moreover, his liquidarian life also enables him to run half marathons, olympic triathlons and to practice acrobatics. Today, Gastón proposes a new paradigm for the expansion of consciousness: “Sharing Clarity”.This method consists on observing our own emotions in a conscious manner, so that they can be integrated with awareness, increasing our inner space. He shares his personal experience in several countries in Spanish, German and English. Following the global Shift in Energy and Consciousness on the 21st of December 2012, Kay developed a completely new way of Pranic living. He activates a center in the brain which enables people to live on Energy without doing techniques, meditations or using nature. It hasn’t been possible to activate the center in the brain before the Shift. On a daily basis Kay manages a large treatment center in Denmark. He works as a healer, coach, Reiki Master and teacher and Martial Arts Master. He has developed several Mental Training Programs, and he teaches other people to live on Energy by giving them the activation of the center in the brain. In April 2018 Kay created a new Program called “Modern Shapeshifting”. Here Kay activates an area of the brain which enables people to manifest. Shapeshifting means to change physical form, and when people follow the Program, they change their bodies into what they most desire. Furthermore, people also change mentally, and they get in complete contact with their Higher Self. Kay has been able to shapeshift himself for 25 years, but there hasn’t been a reason to do it before now. The ability of Shapeshifting is the biggest thing that has happened and ever will happen in Human History, and now Kay teaches this ability to others. The activation to live on Energy can be included in the Shapeshifting Program. Both the activation to live on Energy and the activation to Shapeshift has to be done by Kay. Sofia has been living on prana since July 2016. She will offer a workshop on this way of living, being pranic, expansion into the Lightbody, off-planet beings, how to connect to, experience & navigate 4th – 5th dimensional consciousness, guided meditation & much more. Sofia has been in service, working on expansion of consciousness for over 20 earth years. She has spent much time in the Himalayas & China, practicing Qigong & other sacred arts, whilst remaining in silence for long periods. Here, she met a collective of celestial beings who invited her to join a mystery school in order to raise her frequency, so she could be of service to all who wish to enter their lightness of being. She travels to sacred sites throughout the world, working with the earth’s ley lines & inter dimensional portals with different groups of off-planet beings. Through her own expansion of consciousness she holds the vibrational frequencies necessary for new earth humans to expand into their lightness of being. Themes that Ray approaches at the Festival: Manifestation with Pranic People. Floris has been nourished by prana since February 2016. He still enjoys the taste of food when he likes or for cravings, but hunger is gone and his body lives on prana. From a Wall street type of guy, he transformed into a self-aware and conscious guy. Working with the energy that is all around us. Not only to be nourished by it, but also to have a healthy body and feel happy. He has been sharing that by teaching Qi Gong over the past 8 years. Bringing alignment between body, mind and soul. Since July 2018 he follows the shape shifting program from Kay Hougaard. At the Pranic Festival in Romania, Floris will also share experiences about that and give some vitalizing Qi Gong sessions. We’ll soon let you know about the full list of speakers and who’s coming to the party. If you need to book a hotel in one of the cities of landing, use this link to get a discount.